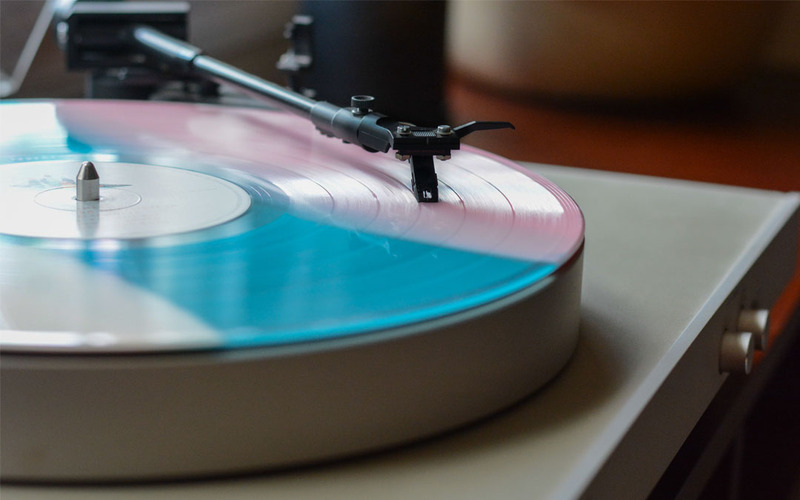 Vinyl’s been making a huge comeback lately (what’s next, Game of Thrones on LaserDisc?). In 2015, it overtook free digital streaming services in total revenue, generating $226 million versus $163 million respectively, during the first half of the year alone. What’s more, demand for shipping vinyl records is now outselling digital music downloads in the UK. Those are stats no one expected, but it’s making everyone stand up and take note. Thanks to this newfound popularity, there’s a resurgence of brick-and-mortar record stores, e-commerce music shops and (especially) online auctions. Vinyl is now spending more time in the postal system than ever before. Which means it’s more important than ever before that businesses and individuals know how to properly handle these popular, but delicate objects. Let’s look at the best supplies and techniques for packing and shipping vinyl records. Use a stiff-walled EZ fold mailer. A cut out wrap (COW) is also a good choice, provided it’s thin enough inside to keep vinyl records in place. Use bubble cushion or foam sheets. They’ll press against the vinyl record softly while protecting it against bumps and damage from the outside. To make it easy on yourself, buy your bubble or foam in a dispenser box. Most are perforated every 12”, making them the perfect size for sandwiching against your vinyl. Extras: Grab some packing tape and address labels. Now that you’ve got your vinyl in one hand and your supplies in the other, it’s time to get this packing party started. But you might be surprised by this first piece of advice. You read that right. We know it seems counterintuitive, but it’s the most important thing you can do to protect it. Records, while mostly secure in the cardboard sleeve, can still move and slide around. Any movement while it’s being shipped can make it damage (or even burst through) the sleeve’s corners. Worse, the record itself could dent, crack or snap. Slide both the record and the papery inner sleeve out of the cardboard cover. Take a breath, trust us on this, and move onto the next step. Lay the cardboard cover on the table. Take the record out of the inner sleeve and put the record on top of the cardboard cover. Now place the inner sleeve on top of the record. Boom, record sandwich. Musically delicious! Take your bubble cushion or foam and cut enough to create two equally-sized pieces, one for each side of the sandwich. If you’re using a dispenser, it’ll make this part quicker and easier on you. Tape up the edges securely and firmly, and slide it into your shipping container of choice. Remember: Keep things snug. Try to eliminate any movement in the record and sleeve sandwich, and then the bubble/foam-wrapped sandwich, too. Finally, once you’ve put it into your shipping container, make sure it’s—you guessed it—snug. Ensure the mailer is sealed up properly, and as protected from the elements as possible. No one wants to be greeted by wet cardboard, or watch their new record spill out of its packaging and smash all over the floor. Double-check all address and shipping info you’ve written down. You don’t want something this valuable going to the wrong person or place. Write on labels BEFORE you put them on the packaging—you don’t want to damage the cardboard sleeve before it’s even left your home. Use labels that say “FRAGILE” and “DO NOT BEND” (or use a marker). It’ll help ensure that delivery people are more likely to treat it well, with the respect and care it deserves. It’s not a guarantee, but every little bit helps. If you’re shipping valuable or rare vinyl, then strongly consider insuring it during the trip. Not just against potential damage, but from other people. If someone knows what to look for, they might realize your package contains vinyl and attempt to intercept it. No one wants (or will accept) a damaged record. Using these tips for packing and shipping vinyl records from The Packaging Company, your vintage and valuable records will make it to their new homes with a song in their step.